Opened in July 2008, Redraglyns Gems is owned and run by Deanne Ward. Deanne travels the globe to bring you the latest in quality Sterling Silver from exotic places, such as Thailand, Mexico and India. The jewellery Deanne introduces to Australia often sets trends, as the pieces are the very latest designs. We stock everything from the most exquisite earrings, intricately detailed pendants, bold and funky bangles, children’s jewellery and much. Redraglyns Gems offers unique, sophisticated and timeless jewellery. All the Sterling Silver Jewellery from Redraglyns Gems uses genuine 925 sterling silver that is of superior quality using a minimum of 92.5% silver and a maximum of only 7.5% copper. In knowing that some people are allergic to nickel and other products used in the manufacture of jewellery, none of my sterling silver jewellery contains nickel, alloys or cadmium. 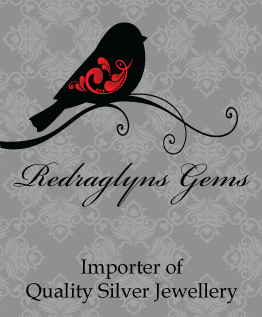 Redraglyns Gems can also be found at various venues, such as markets, fairs, festivals and other functions. Checkout our event calendar on the left to find out when and where we'll be. 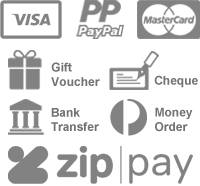 Please like our Facebook page for exclusive offers, competitions and more.